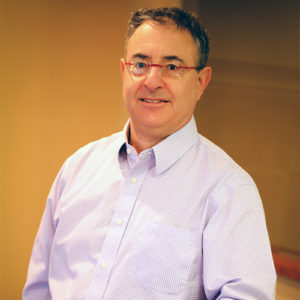 Todd Goldblum, MD specializes in pediatric ophthalmology and eye muscle disorders in children and adults. His medical degree is from Case Western Reserve University in Cleveland, Ohio. He completed 2 years of pediatric residency at MetroHealth Medical Center and his ophthalmology residency at MetroHealth/Saint Luke’s Medical Center, both in Cleveland, Ohio. He also completed a fellowship in pediatric ophthalmology and strabismus at the University of Minnesota. He is certified by the American Board of Ophthalmology. Dr. Goldblum is very active in vision screening and serves as the state medical advisor for New Mexico Lions Operation KidSight. He also serves on the Vision Screen Advisory Committee for the New Mexico Department of Health, and is an Assistant Professor at the University of New Mexico School of Medicine. Dr. Goldblum is married and has two beautiful daughters, Jessica and Zoe. His interests include skiing, bicycling, and listening to music. Family and Children’s Eye Center of New Mexico looks forward to welcoming you to our family of satisfied patients. Request an appointment, find out what to bring, download patient forms, and learn what to expect here.